The Directors of giraffe have enjoyed the services of BriggsFiscal for both personal and corporate business. 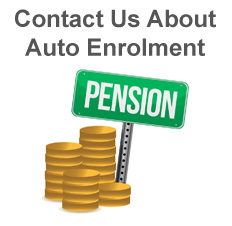 Gary has advised us on group risk and efficiently managed our pensions for auto enrolment. We received a letter saying we must start a pension scheme and in no time Gary was able to recommend companies and lead the project. He worked closely with our payroll team and presented seminars for our staff which were really appreciated. He regularly visits to make sure all is running smoothly. Gary has advised me on financial planning for over 15 years. He has encouraged me to save and invest wisely explaining things clearly. He keeps my life insurance up to date and has an impressive knowledge of the mortgage market, reacting quickly to any new question. I recommend his service especially as you can always contact him direct. I regularly contact Gary for Pension & Mortgage advice. He has arranged many transactions over the last 20 years and always made it easy, leaving me to carry on with my own work. I can trust him and know he is looking after my interests in his methodical style. We engaged BriggsFiscal to research and implement Pension schemes for our brand. We were delighted with the service provided, liaison with various departments and the ongoing support once the schemes were up and running. BriggsFiscal was an integral part of this project and we would not have been so successful without them. I would have no hesitation in engaging them for future projects.